If you are travelling in a cruise holiday package and your cruise ship stop at San Martin port for the day, don't lose this great opportunity and visit the great Paracas Reserve from San Martin Port in our exclusive half day tour. Paracas Reserve is a marine sanctuary with peaceful and wonderful beaches where you can swim or just walk around searching for marine creature. Paracas Reserve is a paradise of great natural beauty where different ecosystem can be seen with and immense diversity of marine life. In this three hour Tour to Paracas Reserve, you will have a unique opportunity to visit one of the most incredible museum of Peru. 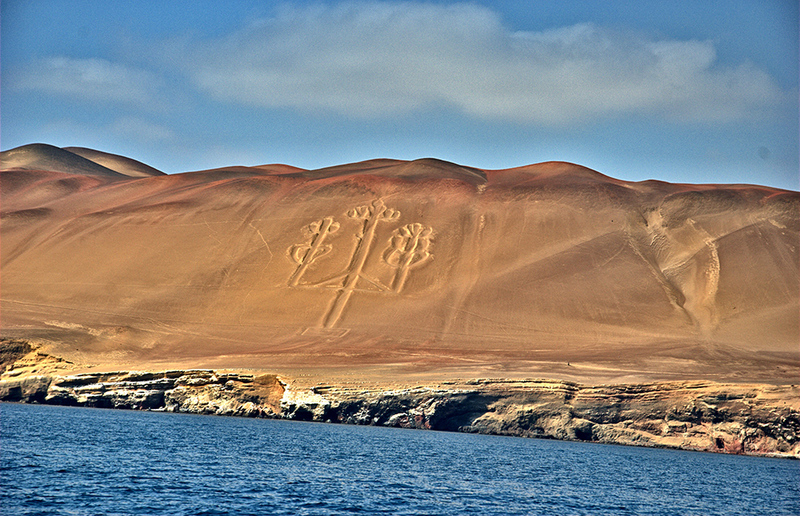 a museums that houses the remains of Paracas civilization. This tour to Paracas Reserve also offers the perfect scenery for photographers, especially for birdwatchers as there are various spots where one can find types of birds such as Inca terns, flamingoes, eagles, pelicans, cormorants, and many others. Tourist Tickets $4.5 per person. Departures are from San Martin Port at 09:15am. You will return to San Martin Port soon after your tour has finished.